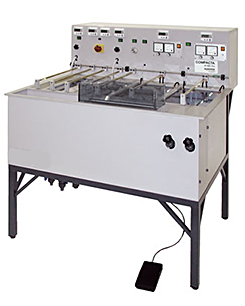 This high quality professional Plating line is designed for the production of high quality through-hole plated PCBs including multilayer boards up to 300 x 400 mm size. There is an integral cleaning system including built-in rinsing compartment. 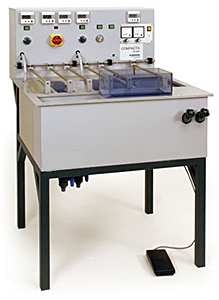 This PTH processing machine is designed to be maintenance free and made for easy processing and handling. This particular PTH machine type is optimized in terms of space requirements and costs. 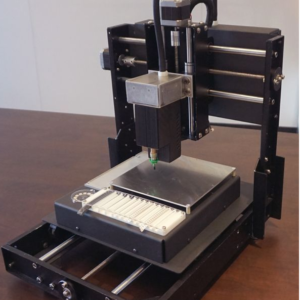 The Compacta 40 is suitable for the Dexter 3 D process (known on the market as the ABC chemical system). Category: Through Hole Plating Lines. 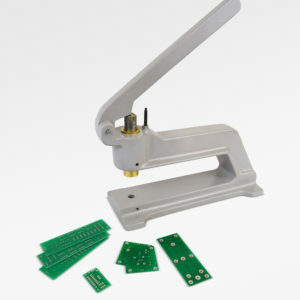 Tags: Multilayer, Through Hole Plating.